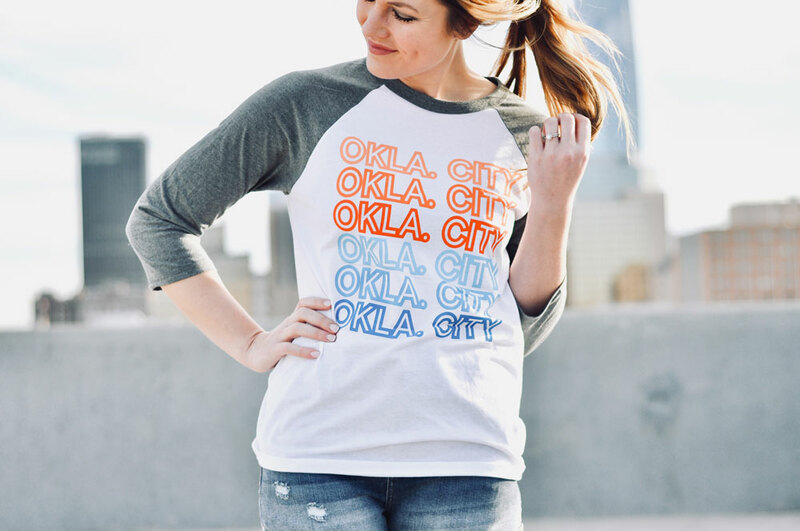 You guys know I love all things home-sweet-homa! I was SO excited when Kickoff Couture reached out and asked me to partner with them. 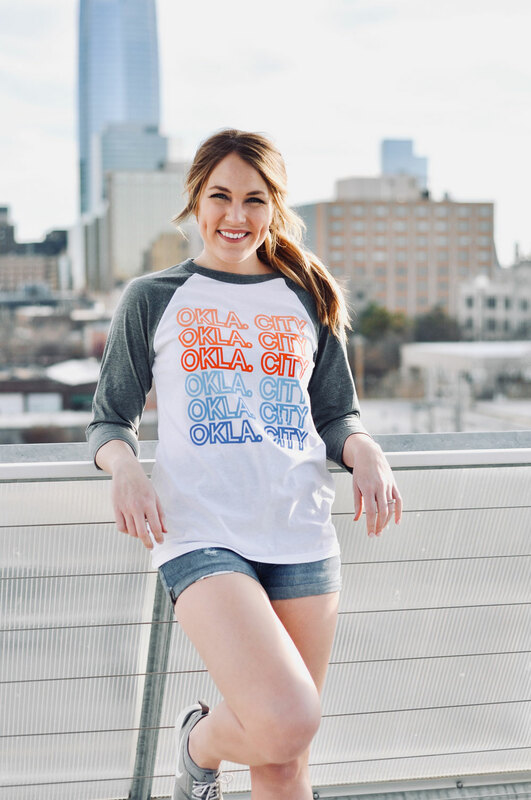 I've been wearing their stuff for years (both the OKC Thunder and Oklahoma State lines), so it was a no-brainer collaboration for me. 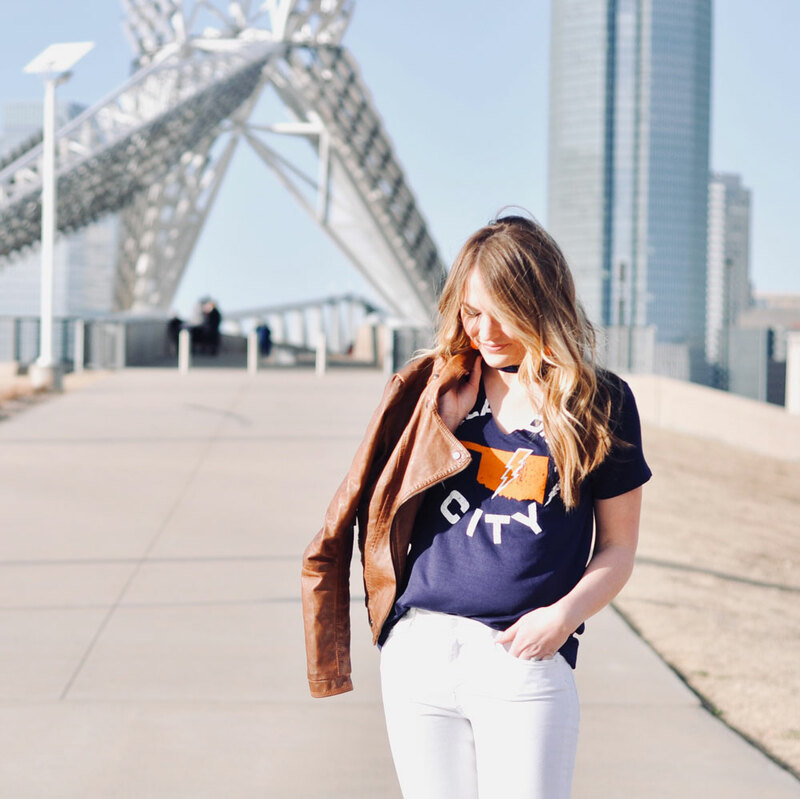 One of my favorite things to do is to dress up a good t-shirt. This one is extra fun because of the choker cut out. 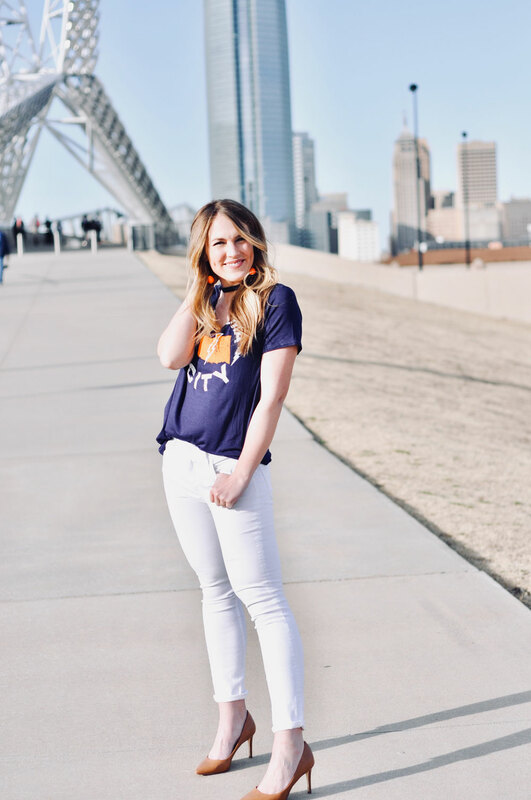 I thought pairing it with white skinnies and pumps made it ideal for a Thunder game date night! When C and I first started dating, he took me to watch the Mavs play the Thunder for my birthday since I am originally from Dallas. It was such a fun experience and something I'll always remember. He said he caught Kendrick Lamar checking me out from the sidelines...pretty sure C was just trying to make me feel special, haha, but it worked. If only I had this outfit back then instead of a KD jersey! 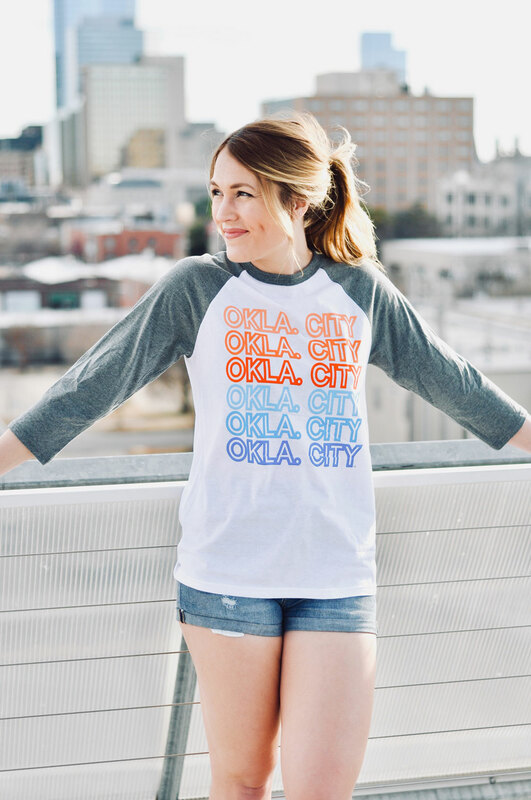 I'm also a sucker for a good baseball tee. 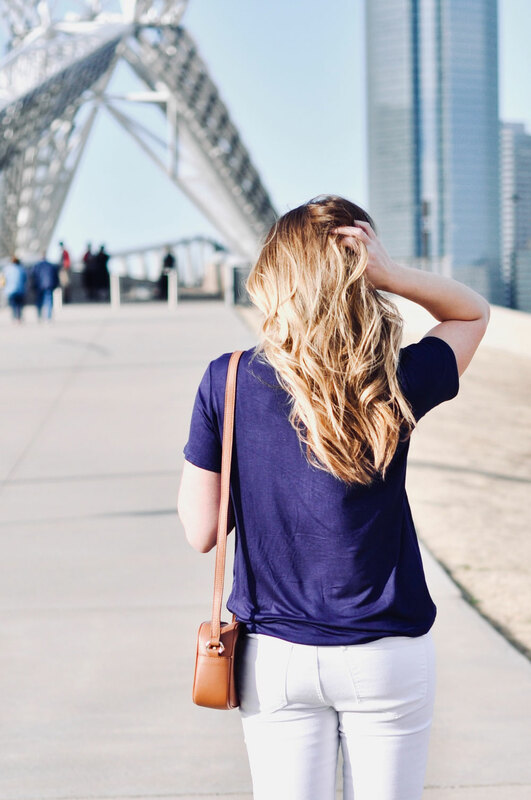 I LOVE to wear them with booty shorts or leggings for a workout, but pairing them with jean shorts and sneaks is one of my go-to weekend outfits for errands, chores, etc. 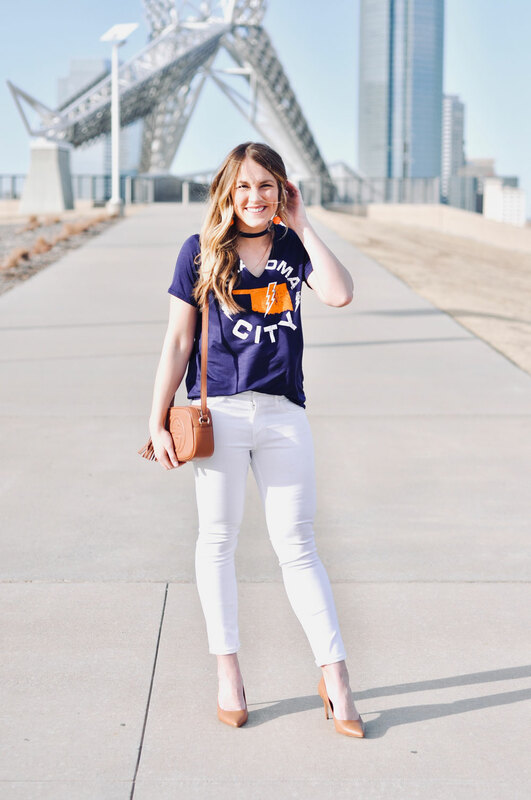 It looks sporty and semi-put together while still being easy, comfortable and cute enough for a last minute patio drink with friends! 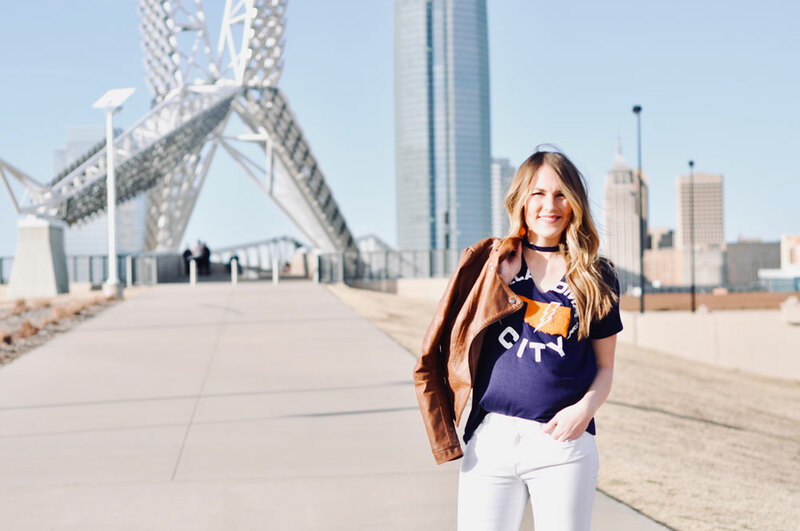 I love sporting all things local, especially when the Thunder are playing. They really pull Oklahomans together like no other. 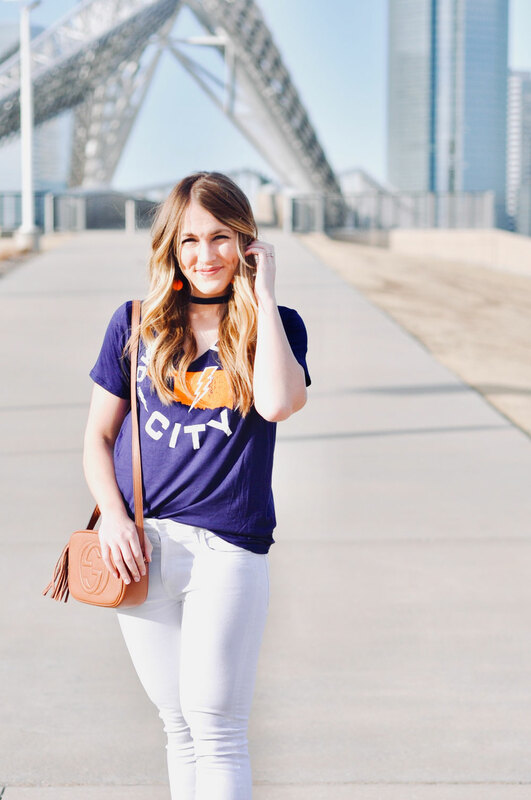 Kickoff Couture is the BEST for fashionable outfits that show off your team spirit. 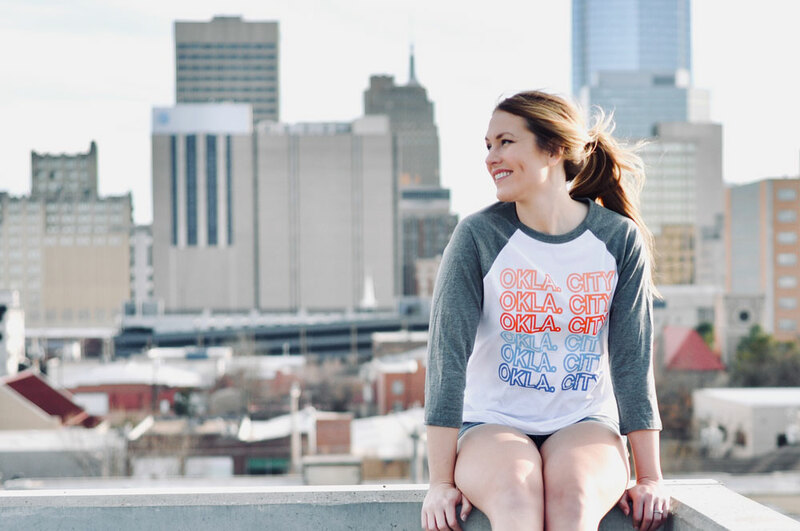 Be sure to check out Kickoff Couture here and use code AMANDASOK for FREE SHIPPING on any order! 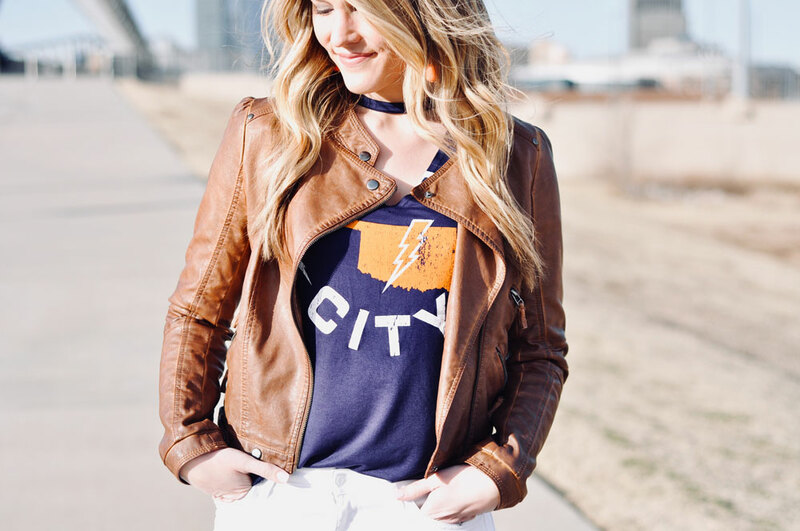 If you aren't a Thunder fan, no worries, they offer a large variety of collegiate apparel for various universities plus state and local-themed apparel (including multiple states other than Oklahoma) and plenty of cute everyday wear for anyone. You will love them, I promise! Thank you Kickoff Couture for sending me these cute tops!